Even though I -- and most other marketers -- know that headlines are crucial to our content's success, we still sometimes mess them up. And we really need to stop messing them up. We've got audiences to serve and numbers to hit; we can't pour all the effort we took writing and editing and designing content down the proverbial drain. We've got to recognize what mistakes we're all making in our headlines and be vigilant about fixing them. To help us all get one step closer to creating clickable headlines, we put together a list of the worst headline mistakes we've seen (or experienced ourselves). Keep reading to see which ones you might be making, and get tips on how to fix them. You've seen these headlines littered all over the internet. Something titled "One Young Girl Yelled at Her Principal in Front of the Entire School, and You'll Never Guess What Happens Next" would just be a video of a girl "yelling" at her principal in a skit and nothing ends up happening to her. Not exactly the drama that you expected when you clicked on the title. That's the bait-and-switch -- and it happens in content all the time. Instead, make sure you're always describing the piece of content accurately. You can still play on that "you'll never guess what happened" trope -- but just make sure that it's something that people will seriously be surprised by. This is similar to the first bullet point, but different and pervasive enough that it deserved its own section. Often, content creators will title typical blog posts as "Ultimate Guides to X," when in fact, they're nowhere near ultimate. The posts will have fewer than 500 words on the topic ... so what about that screams "ultimate?" We must be careful about calling a piece of content "ultimate" or "comprehensive" guides unless they really are ultimate or comprehensive. Ask yourself: Have you covered almost every question your target reader could ask about the topic? If there are more than a few lingering, tangential questions left, it's probably not an "ultimate guide" -- and that's okay. Your content can still be excellent without being the most comprehensive thing in the planet. Just make sure you're setting expectations properly. Once burned by the under-delivered headline, people will be less likely to view more of your content in the future. Now, the opposite of the first two issues is just as bad. Take this section header as an example. About half-way through, you're lost, wondering what the heck I meant to actually say because I was too wordy. 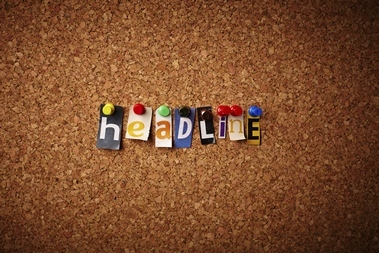 Getting your article's angle across in a concise way is crucial to the success of your headline. To fix this problem in your headline, take a minute to evaluate the headline before you publish. Which words can you take out? Take them out. Which phrases could be condensed? Condense them. Which words don't add any additional value to the reader? Remove them. Push yourself to make the headline as short as possible while still maintaining its meaning and enticement. When people first start trying to create content that's supposed to be easy to find with search engines, they'll often keyword-stuff headlines. A simple guide to Facebook for marketers becomes something like "How to Generate Leads With Facebook, Run Facebook Ad Campaigns, and Get More Likes on Facebook." Holy keyword stuffing, Batman! Instead, focus on one keyword in your title that makes sense for the overall content topic -- Google's algorithm changes won't reward you for stuffing keyword after keyword into your content. Keep that keyword or phrase the central point of the headline, but make it snappier using some of the tips in this post. If you're creating thought-leadership-esque content, it's realllllly easy to make this headline mistake. You want to sound like a "thought leader" after all ... and shouldn't industry leaders use extra-jargony terms to sound smart? Nope. All that jargon does is make your readers extra confused and your content blend into the crowd. If your readers are trying to learn more about your industry, chances are they aren't in on the jargon "know-how" quite yet, anyway. And as for industry insiders? They can see right through it. To remedy this, think about crafting headlines your mom (or really anyone unfamiliar with your industry) would understand and want to click on. With this frame of mind, you'll change up jargon like "utilize" or "leverage" to "use," ... and you'll end up actually teaching your readers and being closer to that initial thought leadership goal than you were before. 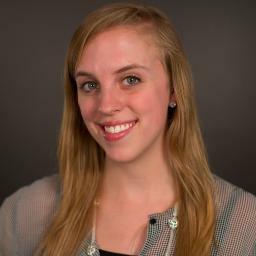 Truthfully, this is one mistake I made on the HubSpot blog. For a post on productivity tools that could make you more focused and effective at work, I offered up this headline: "Stop Wasting Away Your Workday With These Productivity Tools and Techniques." Because of the word choice and order, it comes across like these productivity techniques actually make you less productive. After we got some flack for this (rightfully) confusing headline, we changed it to "Productivity Tools and Techniques to Stop Wasting Away Your Workday." In your own headlines, be very mindful of how word choice and order can change the meaning of your headline. One easy way you can prevent publishing headlines with unintended meaning is to run the headline by a coworker, friend, or family member before you hit publish. Ask them what they think the piece of content is about -- if it's different than what's in the piece, it's time to change up the title. You don't want to risk mucking up your results because of one measly headline. If you've been reading this far, you might be thinking that the ONLY solution to all of these problems is to write couchy, overly accurate, and semi-bland titles -- but that's not the solution either. The world doesn't need another post like "7 Companies to Follow on Social Media." It needs more "7 Companies That'll Teach You Things You Never Knew About Social Media." Push yourself to have novel, exciting, and accurate headlines ... aka something that someone would take time out of their day to read, watch, and/or share. Don't get too shy about trying out new and different headlines. If it's accurate, SEO-friendly, and enticing (yes, all three! ), you've found the sweet spot that we all look for. It's like balancing spinning plates -- writing awesome headlines takes practice and coordination, but it's not impossible. So if you find that your headline is kind of "meh," keep on pushing until it's something you'd go out of your way to read if you stumbled across it on the web. Use this post's advice on ways to make it "sexier." If that's still not cutting it, it might be time you revised the content itself to be more enticing -- then you'll have opportunity to make the headline more enticing, too. What other headline mistakes do you catch in the wild? Share your thoughts on how to fix them in the comments.